Gardening catalogs and offers have begun to fill my mail box (and my inbox). But anticipating the delight in the arrival of my new plants and gardening equipment just isn’t enough. I can’t go outside and actually get my hands dirty so I need to do something else. What could be better than a mystery with a gardening theme? 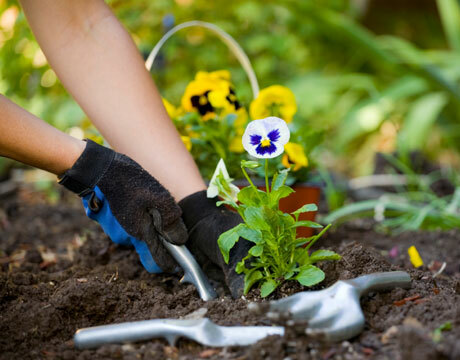 If you are interested in combining a cozy mystery with the delight of gardening, here are some books to consider. 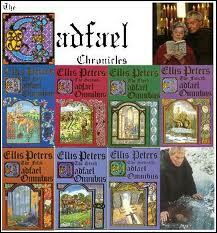 One of my all time favorite characters is Ellis Peters’ Brother Cadfael, a crusader-turned-monk in twelfth century England. His role as monastery herbalist allows him to roam outside the cloister. In doing so, he can satisfy his curiosity about events (and plants) around him. I especially enjoy the author’s mix of information about the religious, political, cultural and lifestyle of the medieval times. Anthony Eglin features a retired botany professor as his amateur detective. Dr. Lawrence Kingston is as intrigued by the challenge of a mystery as he is of lore and mysteries of plants. Eglin, who is himself a rose expert, sprinkles horticulture details throughout his writings. Try The Blue Rose which introduces Dr. Kingston when he is hired by new homeowners, Alex and Kate Sheppard, to investigate the mystery around the ‘impossible’ blue rose bush that is blooming in their walled garden. Rosemary Harris writes the Dirty Business Mystery series. Harris’ sleuth is Paula Holliday, a transplanted New York media executive, who has started a landscape design company in Springfield CT. Author Harris is herself a master gardener and lives in CT! In The Big Dirt Nap Paula ‘smells’ something funny when she travels to an exclusive hotel where a rare (if odiferous) plant called the titan arum, aka the corpse flower (which really exists!) is about to bloom. River City, Missouri resident, Bretta Solomon, is the florist-sleuth in author Janis Harrison’s gardening mystery series. Bretta’s flower business doesn’t seem to suffer when she gets involved in murder investigations. The debut novel in the series is Roots of Murder when Bretta unearths the murderer of her flower supplier. And finally there are the two series by Susan Wittig Albert: “Darling Dahlias” and the “China Bayles” mystery series. Both series are set in small towns. Darling refers to a town in Alabama where the garden club members band together to solve mysteries and murders. Set in the 1930s Alabama, The Darling Dahlias and the Naked Ladies involves the ladies digging up clues about some newcomers with a past, possibly as (gasp!) dancers in the Ziegfeld Frolic. China Bayles of Pecan Springs, Texas is an herbalist and an amateur detective. She runs the herb shop, Thyme and Seasons, while dabbling in the occasional mystery. In the Mistletoe Man she investigates and solves the murder of her principal supplier of the popular herb, mistletoe. So, enjoy these mysteries as you anticipate spring and summer, the gardens and flowers! When Bernie is invited to give the keynote speech at a private investigator convention, his intrepid canine companion is secretly targeted by the high-profile person in charge, an agenda that is complicated by a missing boy, a familiar-looking puppy and the return of Bernie’s girlfriend’s ex. DCI Monika Paniatowski has a bitter personal history with Chief Superintendent Kershaw, but that is not the only reason she doesn’t want the investigation into the sudden disappearance of his wife, Elaine, landing on her desk. A young prostitute, Grace Meade, has also disappeared, and yet all resources are being channelled into Elaine’s case alone. Monika determines to spend time finding Grace, but when a heavily mutilated body is discovered on the moors, it begins to look as if she has made the wrong decision. Astrological detective David Lowell must use his astrologer’s charts and knowledge to solve the murder of a state judge in a New York City parking garage. Joined by his daughter, Melinda, a young defense attorney who believes the person arrested innocent; his hacker sidekick Mort; patient assistant Sarah; and bodyguard Andy, Lowell races against time to prove the innocence of Johnny Colbert, a mouthy bartender accused of the crime. While renewing his annual try for the Most Points in Vegetables and Fruits at the Garibaldi Island Fall Fair, Arthur Beauchamp is forced by new developments to revisit his first murder trial, which went horribly wrong. Now, nearly 50 years later, he is opening old wounds but also facing a chance for redemption and reconciliation. Investigating a rumor about new paintings by a famous contemporary Chinese artist who has been dead for twenty years, private investigator Lydia Chin and her partner, Bill Smith, discover that a new client is not who he claims to be. It’s the end of winter break and spring term is beginning at college campuses everywhere. I love going to school, but what to do when my work schedule conflicts with the interesting classes I want to attend? Well, of course, grab a book set on a college campus! That is what I did this year. Notre Dame Philosophy professor Ralph McInerny has created a series of mysteries featuring the Knight Brothers, the latest of which is Sham Rock. Even if you don’t quite understand all of the Notre Dame insider comments (what exactly is a Bookstore Basketball Tournament? ), the books are enjoyable. Philosophy professor Phil Knight and his PI brother, Roger, find themselves immersed in crime, conspiracy and murder on the lovely campus. And you always thought that colleges and universities were places of advanced learning! While Phil Knight might be described as a traditional academic, author Donna Andrews’ books are populated by a group of professors probably best described as quirky. In her Stork Raving Mad mystery, Meg Lanslow, wife of a drama professor Michael Waterston, is surrounded by a most unconventional group of students and professors. I think it is a good thing that Caerphilly College does not really exist! This is a fun, fast-paced mystery even if it strains credibility at times. For a book with a historical backdrop try The Dons and Mr. Dickens: The Strange Case of the Christmas Plot by William Palmer. Using the literary device of a recently discovered ‘forgotten’ manuscript, the story finds Charles Dickens and Charles Dodgson (aka Lewis Carroll) solving the case of an Oxford don who was murdered in a London opium den. Jeffrey Cruikshank’s debut novel, Murder at the B-School, is grittier than some of the others mentioned here. Wim Vermeer is a lowly, non-tenured finance professor at the prestigious Harvard Business School. When one of his students is found dead in a campus whirlpool, Professor Vermeer is appointed the liaison between the school and the dead man’s family. Wealth and police and academic power collide. It is soon apparent that Vermeer has been setup to protect the school’s reputation. But why and who is responsible? This is a page-turner. 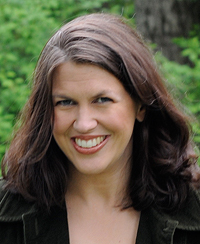 Joanne Dobson features Karen Pelletier, an English professor at fictitious Enfield College. Pelletier is up for tenure in Death Without Tenure. The book delves into college politics, plagiarism, political correctness, hate crimes, drugs and academic rivalry but in the end the cops get their murderer and all is right in the New England ivy-covered walls. Hopefully, I will be back in a classroom next semester but, if not, I will be immersing myself in some more books set on college campuses! If Ed McBain, the Edgar Award winning mystery writer, suggested you convert your short story into a novel, I’m sure you’d take his advice. I’m glad Bruce DeSilva did just that. The result is Rogue Island, a mystery set in Providence, Rhode Island. Liam Mulligan is a newspaper reporter and his childhood neighborhood is going up in smoke…literally. Someone is burning down the houses, killing people in the process. Mulligan knows every crook in Providence, from the Mayor on down to the mob, the bookies and their lawyers. He knows the inept fire investigators who he’s labeled Dumb and Dumber. He knows the fire chief, the first female fire chief in the city’s history. He knows everyone. Yet, he’s stumped. Because he can’t pinpoint the arsonist. But he will. No doubt about it. On the back cover of the book, Harlan Coben describes Mulligan as a ‘droll hero’ and Michael Connelly states DeSilva writes “…with genuine authority, a dose of cynical humor, and a squinting eye on the world…” DeSilva has created memorable characters, a cynical protagonist and a fiery plot. If you’re looking for a mystery author who writes with intelligence and wit, a book with action, then Rogue Island by Bruce DeSilva is your book. Both the author and I are sad that Ed McBain didn’t live to read it. “A Curtain Falls” is the second book in the series featuring Detective Simon Ziele and criminologist Alistair Sinclair. A killer lurks among the back alleys of Times Square, targeting the actresses fo the Great White Way. When Detective Simon Ziele is drawn into the investigation, he knows exactly who to call upon for his expertise: criminologist Alistair Sinclair. Partnering together once again, they race to make sense of clues found in physical evidence as well as in secret messages embedded in the killer’s communications. The author will sign her book after the presentation. The book will be sold by The Friends of the Library at the event. WHO DONE IT AND TO WHOM? Are you dying for a great mystery? Visit the new display on the first floor and perhaps you’ll discover an old favorite author or a killer new series. 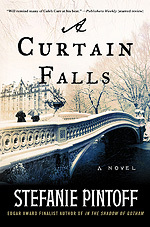 Save the date: Stefanie Pintoff, Edgar Award winning mystery writer will visit the Syosset Public library to discuss her latest Simon Ziele novel A Curtain Falls. Her books are a staff favorite here and we’re all looking forward Stefanie’s visit. Join us on Friday, October 29 at 7 PM in the theatre to hear her discuss the historical New York that inspired her books.